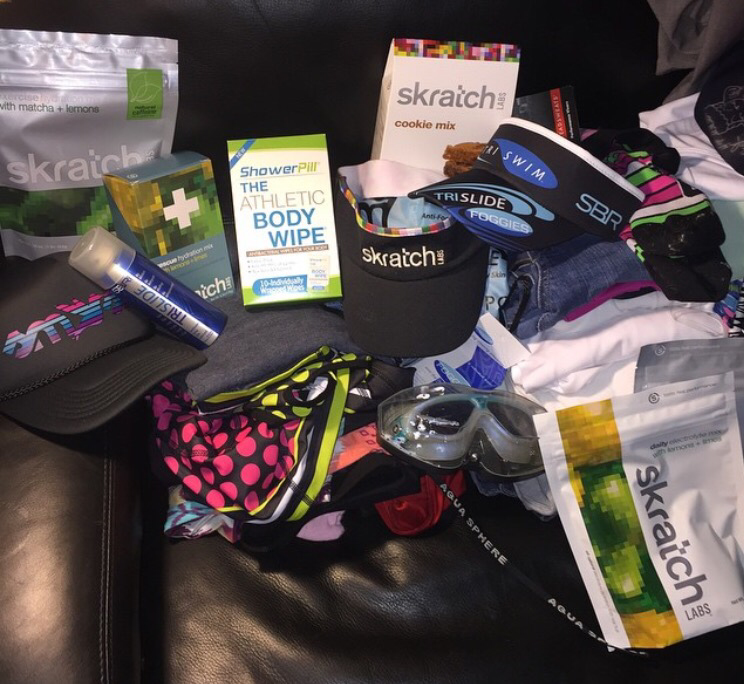 Recently, I was given the opportunity to review Showerpill Athletic Wipes through my Ambassadorship at FitApproach. I was pretty excited considering the fact that I needed to find an easier way to clean up from my lunch time runs (I’m definitely not working where I live anymore) and we were traveling to San Juan for Ironman 70.3 and I like to get the airport funk off of me as soon as possible! So this was perfect timing to be able to review something like this! I always get sticky when traveling, you know the funkiness I’m talking about… airplanes kind of gross me out, especially sitting so close with people (and then you may have those sick people). 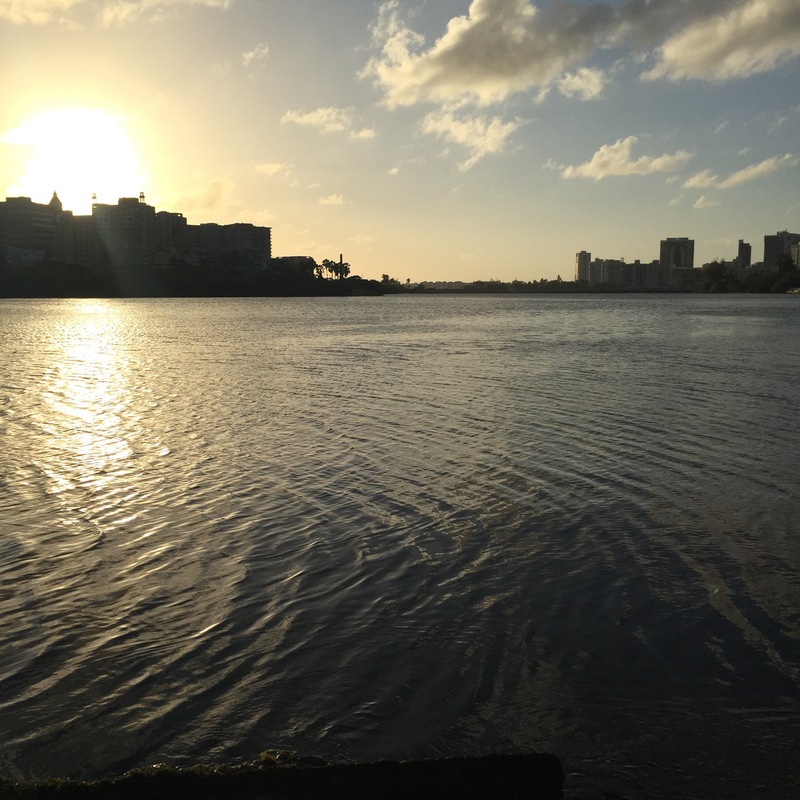 As soon as we got into San Juan and got settled at our condo we were renting with friends, we went for a swim to get loosened up. But before that, I needed to get changed and despite going into the salty lagoon I decided I’d wipe the traveling funk off of me with my backpack Showerpill. Perfect! The Showerpill was huge, soft, thick and didn’t fall apart… and best of all, I felt clean! Time to swim!! Over the next few days of being in San Juan, it was HOT and HUMID so it was a great environment to keep testing these towelettes out! Everytime I used them, I felt clean – I think only one time I felt kind of sticky but it was uber humid so I think that may have had something to do with it. The smell is light, fresh, and clean. The packaging is slim so it was easy to take anywhere with me (or you, because you definitely need to try them out!). So What Exactly is a Showerpill? “ShowerPill is an antibacterial wipe for your body. It is like wiping down with soap and water which leaves skin feeling clean, fresh and moisturized. 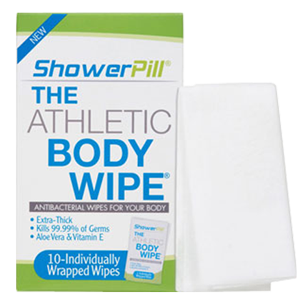 One ShowerPill sport wipe cleans your entire body. It will save you time, decrease the chance of skin infections and keep you fresh & clean when a “traditional shower” is not possible. Simply put, I think this is a great product and is perfect for keeping in your car for post workouts, in your desk at work, for traveling, etc. I will totally keep these on hand if we go camping this summer, beach days…well, you get the picture. I know most of y’all are active in some way so these would be perfect to keep on hand for a body wipe down when you need it most! Check out ShowerPill at http://www.showerpill.com. You can order from ShowerPill directly or through Amazon. They have a money back guarantee is you are NOT satisfied so what do you have to lose? !